each and every day is a good day for birthday cake. but I finally found the time to post. i've had a thing for fancy cakes since i was a little kid. so i'ld actually seldom go through with those wishes. or even to try more daring frosting flavours. 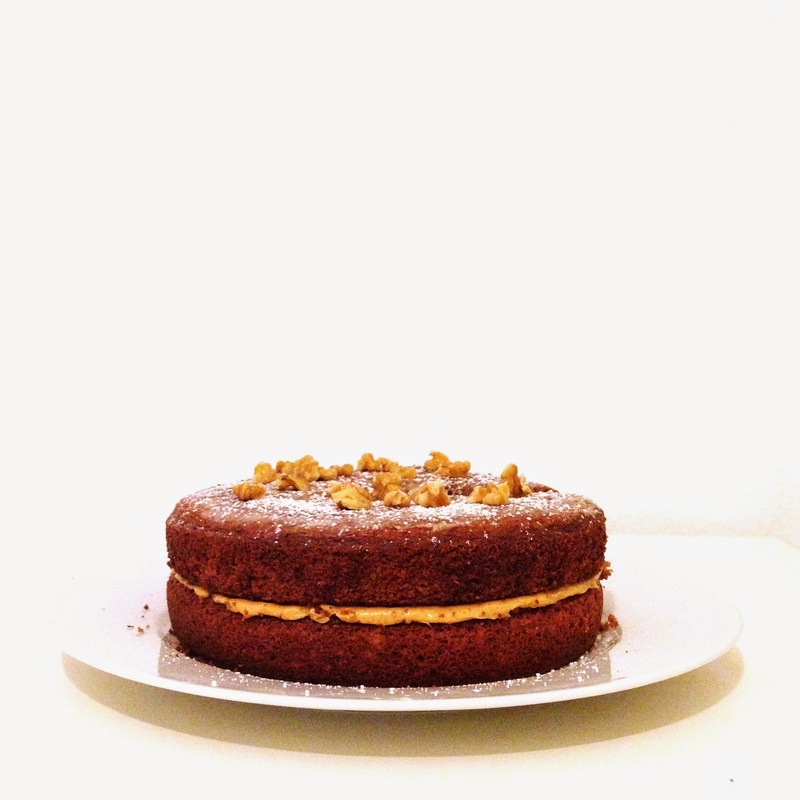 does one need an excuse to bake a fancy layer cake? kind of. i did take half for breakfast with my work colleagues. is it unhealthy and inappropriate? what do you think about baking your own birthday cake to offer other people? i dread this german tradition of having to bake your own birthday cake to offer coworkers and so! i truly dread the idea of baking a 'birthday cake' for myself. i was brought up to believe that it is both a really egocentric thing of you to do (like: hi there you all people who work with me - it's my birthday today!!!) and a really rude thing of other people not to offer you a cake! Finalizar com açúcar em pó e algumas nozes grosseiramente picadas. Sprinkle with confectioner's sugar and coarsely chopped hazelnuts. Ahah, nós na farmácia quando fazemos anos levamos o lanche! Logo sim, um bolinho! Não cantamos os parabéns, mas lanchamos todos, um lanche diferente, que se torna agradável! Para mim acaba por não ser um problema, porque tenho mais um motivo (apesar de motivos nunca me faltarem) para fazer um bolo!!! Espectacular la tarta! Igual que la entrada... Emotiva y de calidad... Enhorabuena!